Investing on children is to invest on our future since children are our future. The article highlights some aspects which are normally not mainstream news. 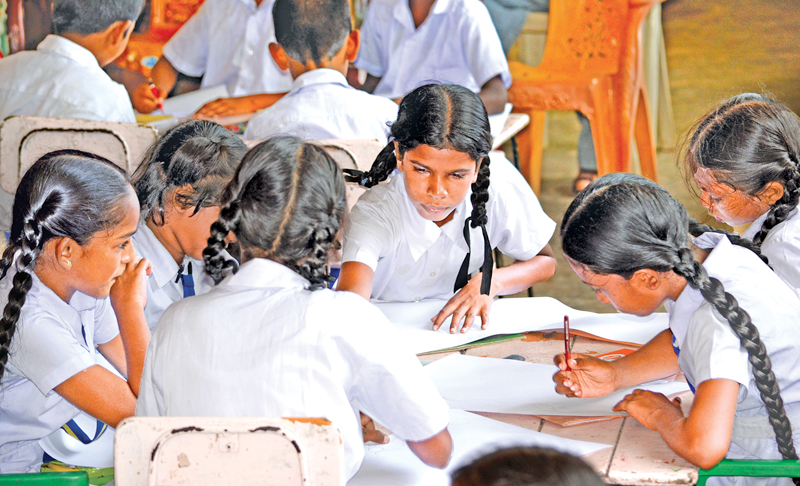 The total child population in Sri Lanka in 2012/2013 was 4,451,229 of which 50.7% are males. They constitute approximately 30 per cent of the population. In the 2012 Census of Population, a total of 1,442,586 were reported to have disability, around 1.6% of the total population. Of this estimate, roughly 333,269 (or 23% of the total) were children aged below 18. The CRC declares that children should not be separated from their parents against the will of the parents, except when there is a judicial decision that such separation is in the best interests of the child. This can occur because of abuse or neglect, or because of separation of the parents. In the latter situation, the child should have access to both parents, even if in the care of one. The provision that this can be foregone if such are the child’s best interests should be applied only in the event of a judicial decision. The child has the right to have his or her views heard in respect of all matters affecting him or her, which would include the above. The Convention also asserts that the principle that both parents have common responsibilities for the upbringing and development of the child should be recognized. All this suggests that responsibilities cannot be put aside by either parent. However the right of the parent not to be separated is subject to judicial review, in which the opinions of the child must be given due weight. We have a significant number in institutional care. Second only to those in prisons. It does not speak well of measures to protect, prevent secondary victimization of children. YOUNG OFFENDERS- Punishment of certain grave crimes, Power to send a child or young offender to an approved or certified school, Power to commit child or young offender to care of probation officer or parent, Power to order parent to pay fine instead of child or young person, Power of Minister to send certain children and young offenders to approved or certified schools. CHILDREN AND YOUNG PERSONS IN NEED OF CARE OR PROTECTION- Powers of Juvenile Courts in respect of children and young persons in need of care or protection. CERTIFIED SCHOOLS- Classification, administration, and management of approved and certified schools. FIT PERSONS- General provisions as to children and young persons committed to the care of persons. Decriminalization of child care by asserting the common professional duty to safeguard the best interests of child victims. The only way to challenge the current police-magistrate court dominance over child protection is for MoCD and NCPA to work together with the Health sector and reduce dependence on police. A professionally led process for this (which includes child focused paediatricians, JMO’s and psychiatrists) is well underway but has to be linked strongly with NCPA. They are now working on building a demonstration model of multi-disciplinary cooperation in Gampaha District which is expected to commence soon. 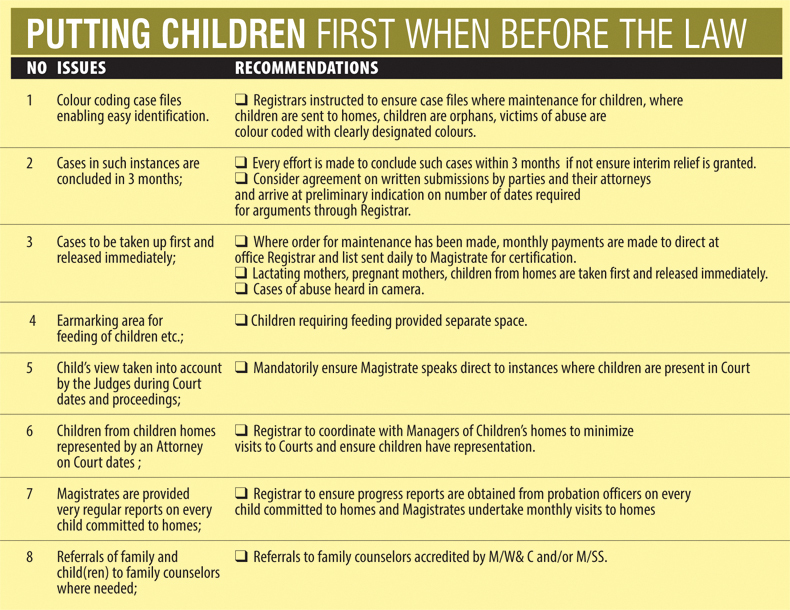 Consideration of approaches for better integration of NCPA child protection mandate – to be distinguished from its criminal justice mandate on child abuse. Strengthening the structures of Probation & Child Care Services and stabilizing their human resource base, in particular: Strengthening of working relations between NCPA and Probation by going beyond a legacy of mutual contempt. Need for service provision within child protection to be properly established – technically, administratively and legally – with scope for continuous professional development and without human resources being deployed in an ad hoc manner. Ad hoc deployment of valuable human resources has atomized and fragmented this sector and promoted rivalry and conflict between officers. Probation Officers and Child Care Officers must be recruited, trained and organized to respond immediately and on a 24 hours x 7 days basis to cases of juvenile justice and child protection. (Recommendation of Justice Tilakawardena Committee). Health & nutrition -Physically & Mentally Challenged Children, Malnutrition, Children with Incurable Diseases (HIV/Aids and Cancer). Teenage marriage and pregnancy- over 20,000 teenage girls are married and often have children before they reach 18 years of age. 36 such cases per every 1,000 female teenage girls. Nationally the figure was 5.2% for 2015, 0.3% up from 2014. In 2015, there were over 20,780 girls aged between 12 and 17 in Sri Lanka who are married or in cohabiting relationships before they reach adulthood. This aspect is largely ignored with children left to deal with the consequences. Given heightened sexual relationships at a young age we have to address the related issues more forthrightly. Girl friendly toilets - Studies indicate that only around 30% of them use sanitary napkins to manage their monthly cycle. It is doubtful if we have given sufficient attention to the special needs of children who constitute nearly 50% of the child population when in school.